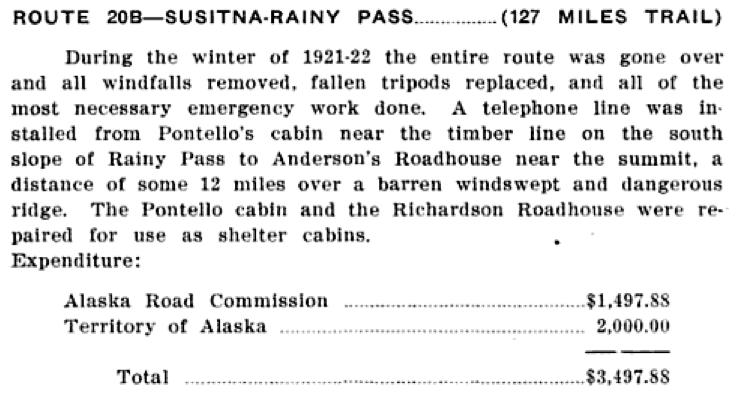 This entry is shared at Coleen Mielke’s research pages, Matanuska-Susitna Valley: Researching Our South Central Alaska Roots, in a link to the transcribed text from pages 40-49 of Smith’s book. Mielke included Cadawaller in her Matanuska Valley Pioneer Directory, noting that he came to Alaska in 1917 and walked from Knik to Iditarod, where he worked as an accountant for two years before walking back to Knik. He later became a Valley businessman, building the Wasilla Bar and the Fishhook Inn. 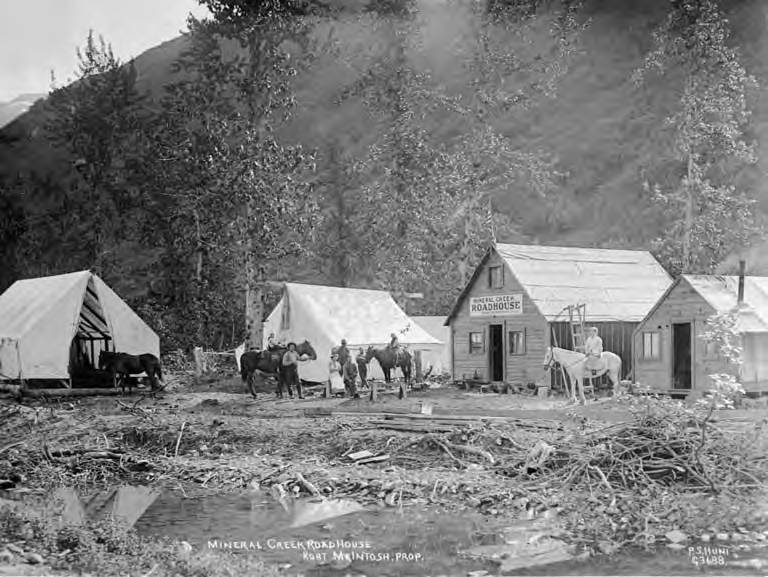 Nevertheless, his description of the Pioneer Roadhouse being at Farewell Mountain does not correspond with S. Hall Young’s clear description of it being at Knik, nor with the handwritten notation on the first photo above. So were there two establishments on the Iditarod Trail named the Pioneer Roadhouse? Yes. The second photo is the Pioneer Roadhouse near Farewell Mountain, on the west side of the Alaska Range, 62 trail miles south of McGrath. 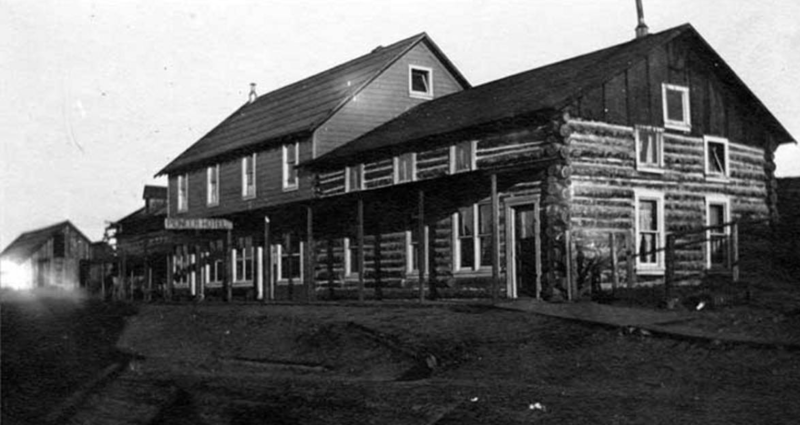 The Knik Pioneer Roadhouse, which later became the Pioneer Hotel, was built by Frank B. Cannon, one of the first residents of the town of Knik, who was reportedly living there in 1911. 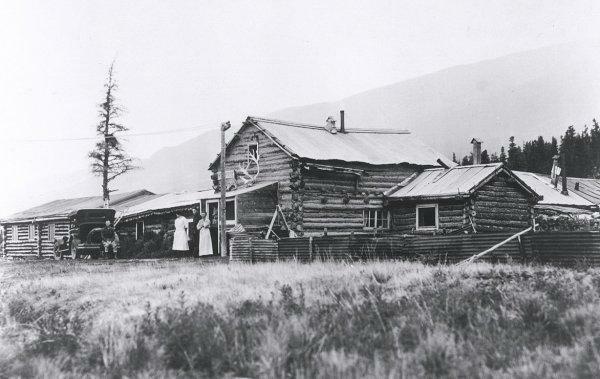 A dog barn was adjacent to the roadhouse, which sat directly across the trail from the pool hall, one of two original buildings still standing at the site. 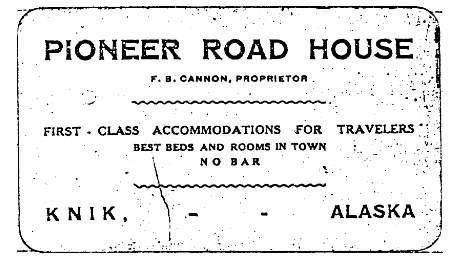 In the photo guide to the Tron Anderson Collection at the Anchorage Museum there are notations for business cards for the Pioneer Roadhouse and the Pioneer Hotel, both in the Frank B. Cannon section of the collection. 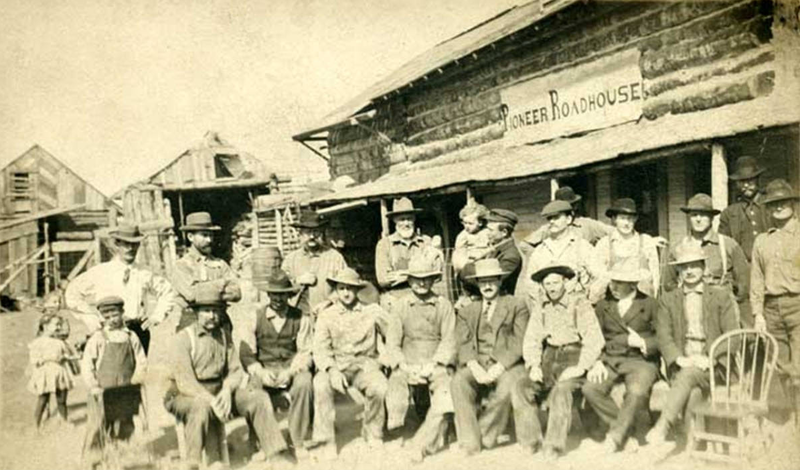 The second – although it was most likely built first – Pioneer Roadhouse was built on the west side of the South Fork of the. Kuskokwim River about one mile southeast of the present-day Farewell Lake. Lodge. 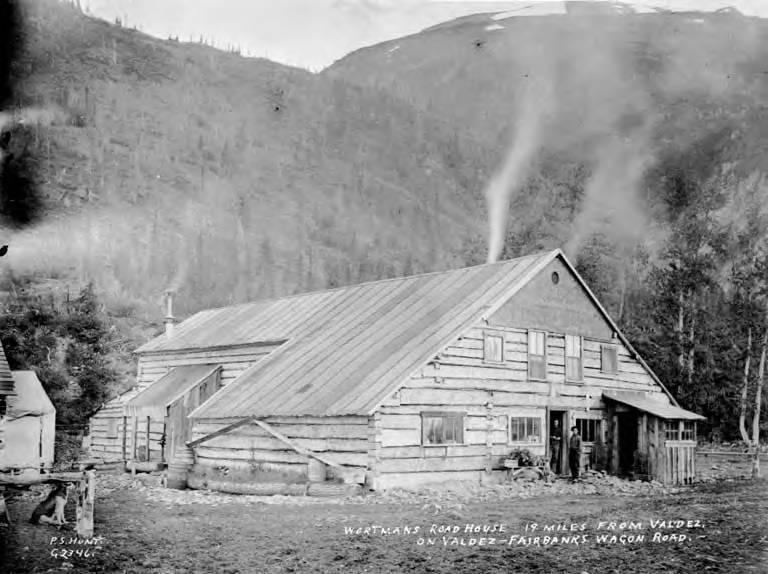 This is the roadhouse which was also known as French Joe’s, or the Farewell Mountain Roadhouse, and it was comprised of several buildings, including a dog barn. 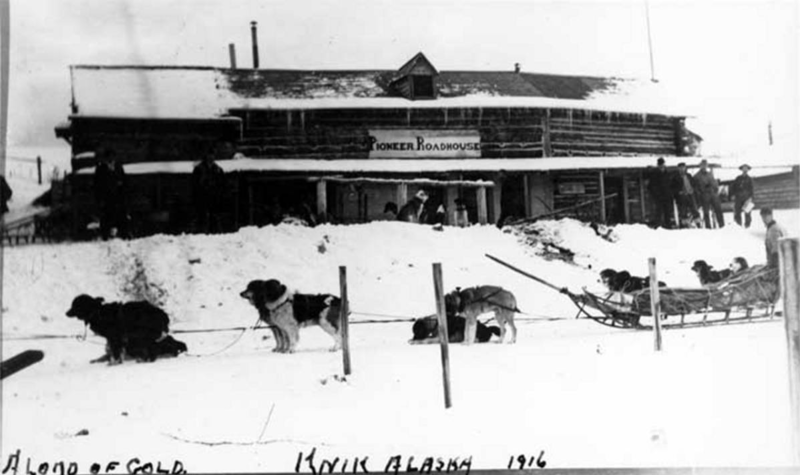 The 1986 Iditarod National Historic Trail Comprehensive Management Plan identified the Pioneer Roadhouse as a Level One Site, recommending “Consider, with owner concurrence, as part of a thematic Iditarod Trail nomination to the National Register of Historic Places. 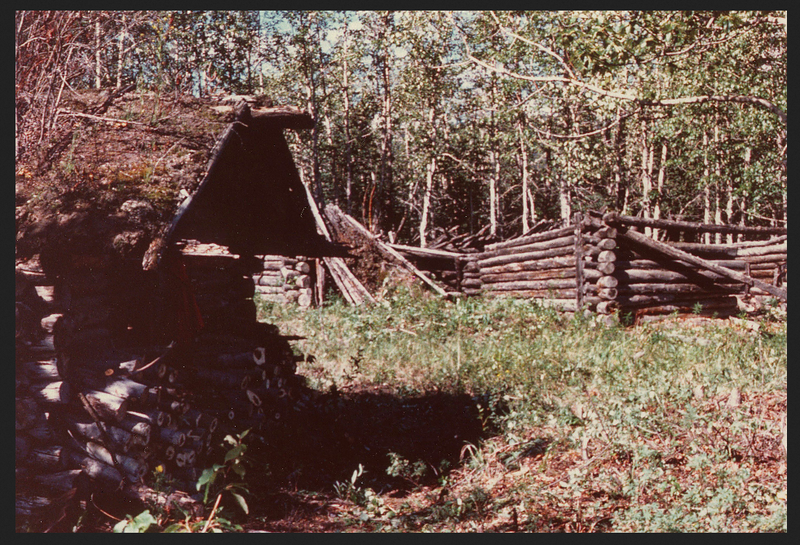 Perform historic and archeological research on the site to include testing, mapping, photo documentation and historic archival research as a prerequisite for site work.” The results of that recommendation can be seen online, in the Iditarod Quad Files McGrath C2. 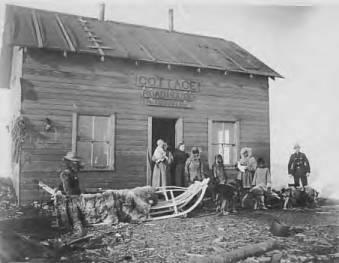 This entry was posted in Iditarod Trail, Roadhouses and tagged Adventures in Alaska, Alaska's Historic Roadhouses, Anchorage Cemetery, Charles Lee Cadawaller, Coleen Mielke, Cook Inlet, Farewell Mountain Roadhouse, Frank Cannon, French Joe, Iditarod National Historic Trail, Iditarod Trail, Knik, Kuskokwim River, Matanuska Valley Pioneer Directory, Michael E. Smith, Pioneer Hotel, Pioneer Roadhouse, S. Hall Young, Samuel Hall Young on May 1, 2015 by Helen Hegener.